I recently received a large bill from Telus Mobility after transferring my numbers to Rogers, due to poor cellphone reception and customer service issues. The bill contained (amongst other charges) a $240 cancellation fee. Upon contacting Telus customer service, I was informed that there were service contracts remaining totaling 9 months between two phones that were on the account (72 month commitment between the 2, 63 months fulfilled). 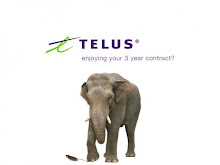 I requested a compromise for the 9 months remaining, since the value Telus attributed to the 72 month commitment was $400 (their quote to me), I offered to pay back the percentage remaining 9/72 of $400 or $50 total. The agent refused to compromise - I then offered to reactivate the account in order to payout the remaining contract. They would not take this option either. Finally, I quoted the more than 11 years (between the 2 phones) that I had been a customer (a telus mobility customer) - and asked was it their intention to make sure I would never be a customer again? The agent commented that they can not do any crediting of these fees. I then asked if they would like me to cancel my other accounts (home phone, etc) with Telus? The agent offered to do so immediately if I would provide her the numbers. It's unfortunate that this is how Telus would treat a long-time customer, happily canceling accounts and leaving a sour taste that will long ensure I will never do business with Telus again. Telus Mobility folks, there you have it. They treat their Telus mobility customers like nobody else. And, I don't mean that as a good thing. 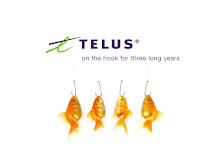 Your leaving telus for another company...Why the hell would they care about your business when your just took it else where..you signed a 3 year contract you dont get credited for breaking it to go to another company its not rocket science. Big companies only care for money. I am having the same experience here with one of the big telcos. Maybe i should write a blog for them too. it so sad thing that happen to you!! hopefully you find another good companies that good for you!! why would a company compromise if you are cancelling with them? haha rogers/ bell/ virgin ...none of them would.